Dark natural wood tones in contrast to a light cream interior is the perfect combination within any home. 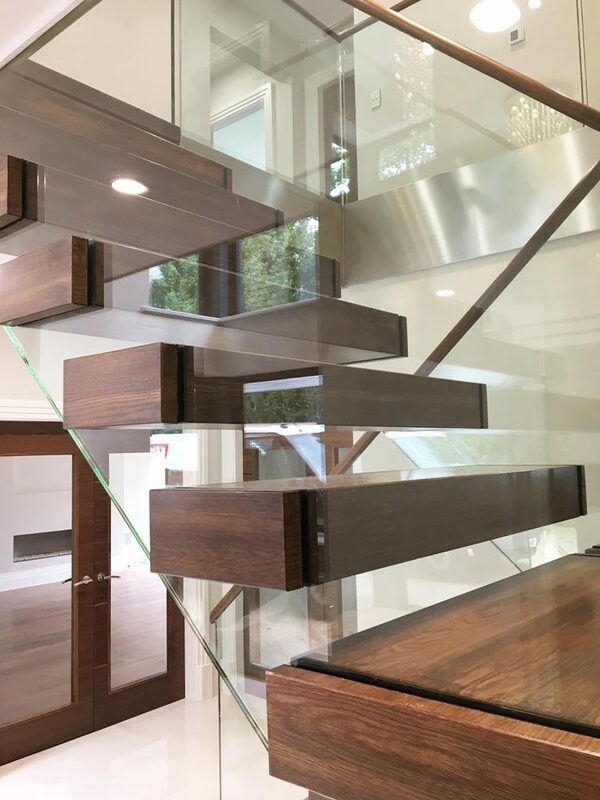 To increase the natural light flow and transform the essence of space with the use of design, the cantilever staircase is the perfect stylish solution. 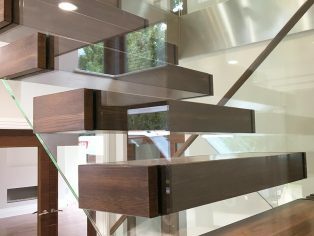 The hidden steel work is the secret to success within any cantilever staircase to achieve the flawless floating look. The open riser treads combined with the presence of glass, lights up and opens any dark spaces, allowing plenty of light to shine through to create that light and spacious feeling. Dark chocolatey treads alongside large panels of laminated float glass balustrades completed the look for this two story home. 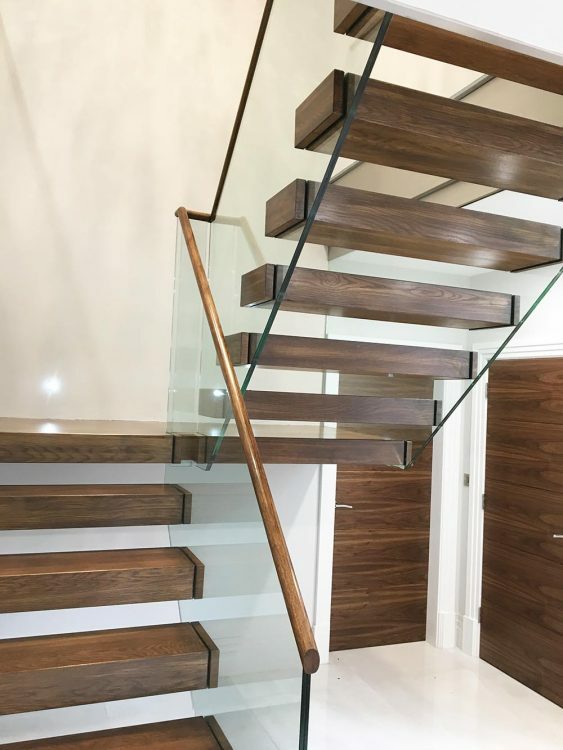 To enhance the beautiful natural patterns within the grains of the walnut, a matching timber handrail was slotted onto the frameless glass balustrade. 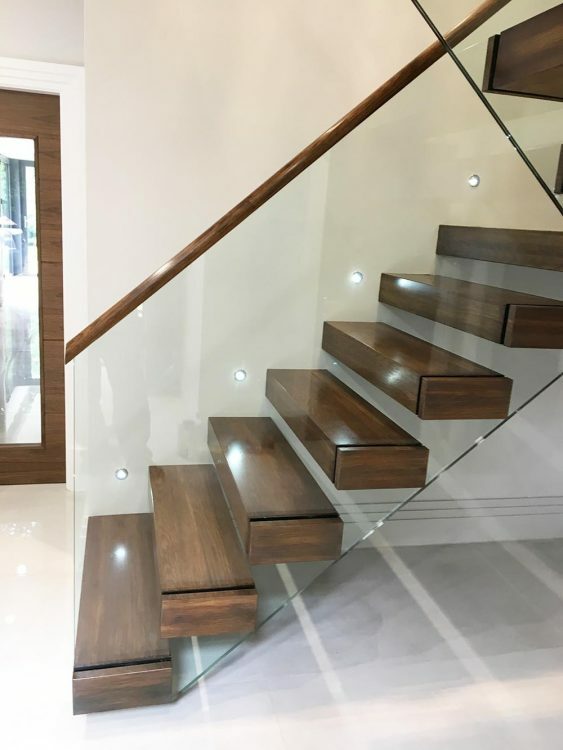 To add a sense of luxury and add a dramatic effect when the sun goes down wall lights were installed just above tread level to draw attention to the feature staircase. The versatile nature of a cantilever staircase makes it adaptable to suit within almost any environment on any scale. The design possibilities when it comes to a wide range of choice of materials which can be adapted to suit any personal taste. Find out more information at www.canal.eu.com.